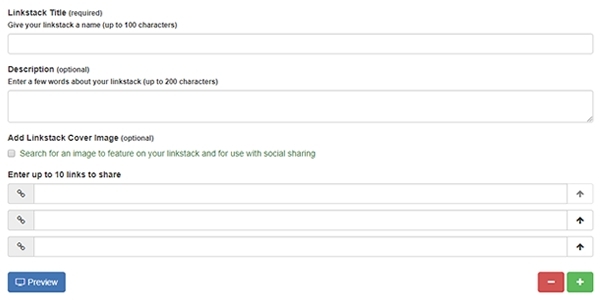 Your linkstack can include up to ten links. Just enter the URLs and we do the rest. 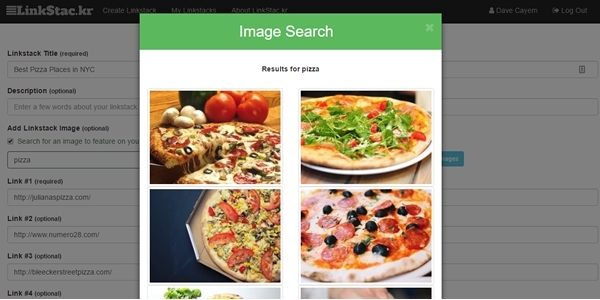 Pick one of thousands of photos to include with your linkstack with our image search tool. 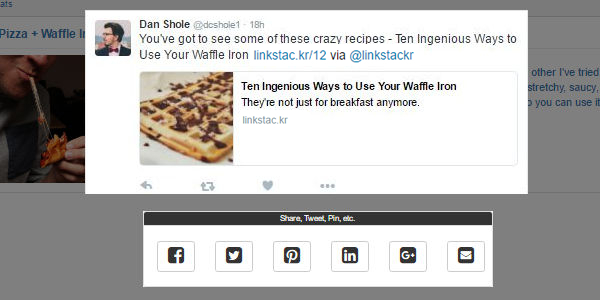 LinkStac.kr pages are built to look great when shared on every major social network.